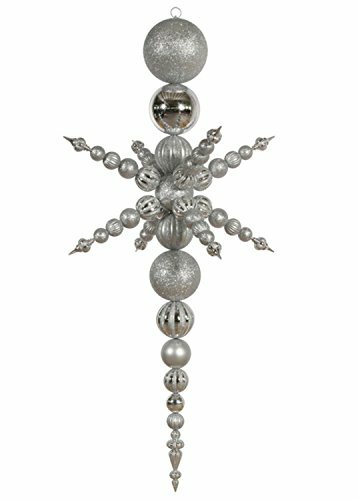 76'' Silver Commercial Shatterproof Radical Snowflake Christmas Finial Ornament by Vickerman at Two Clock. MPN: 12353967. Hurry! Limited time offer. Offer valid only while supplies last. Huge Shatterproof Snowflake Christmas Finial Decoration. Item #N103707 This very unique, hard to find item is perfect for commercial decorating! View More In Pendants, Drops & Finials - Page 3.